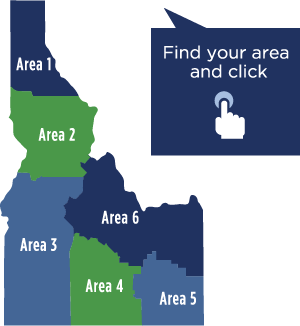 When we are in need of legal assistance or interventions, there are local Idaho Legal Aid or Area Agency on Aging offices available. We can use the area map below to find the nearest provider to us. Also to the right are “Quick Tips” and “Resources” available to better assist us with finding reliable information and supports.